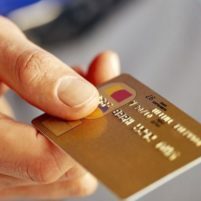 Based on documents obtained under the California Public Records Act, the card has been used to pay for video rentals, online shopping, expensive meals, a business license in Georgia, and personal telephone bills. State law prohibits government officials from using public money for personal expenses. The list of apparently private expenses is not complete. Not all of the purchases made using the credit card have been accounted for, Knudson reported. Less than 20 percent of the IWMA credit card payments to the bank have been explained. “Of the $537,607.68 payments made to US Bank, the IWMA could only provide backup for $92,529.94, a difference of $445,077.74,” according to Knudson. The credit card was obtained from US Bank in 2010, but without the approval of the SLO County auditor. It also lacked a key signature from the IWMA. US Bank required that government agencies have the signature of the agency’s legal counsel. In the IWMA’s application, the space for the legal counsel’s signature was left blank. Instead, IWMA secretary Carolyn Goodrich signed as the authorizing agent. One of the findings in Knudson’s report shows that the IWMA card is used monthly to pay an AT&T bill for a landline with a 238 prefix in Paso Robles in the name of Steven and Carolyn Goodrich. CalCoastNews sought records of credit card spending from the IWMA. Many records were not produced and those documents that were turned over had been redacted. None of the redactions were explained or justified even though the California Public Records Act requires those things. Redacted copies of those card records obtained through a Public Record’s Act request show that the card is often used for renting videos, expensive meals and online shopping. IWMA Administrator Bill Worrell recently was asked specifically for monthly credit card statements from Jan. 2012 through May 2018. In response, Worrell emailed what he said were the July 2016 through May 2018 monthly statements. However, the page numbers were redacted from the monthly statements and many pages were omitted. The Government Code requires government bodies to explain why they are redacting or withholding records, Worrell provided no explanation or even acknowledged that pages had been omitted. For example, the monthly statement ending Nov. 22, 2016, showed a total of $8,240.97 in charges. But many of the pages documenting the charges were missing, and only $2,661.70 in charges were explained. Even though Worrell omitted many of the monthly credit card charges, those he did provide included yearly charges for Amazon Prime, and charges for many online movie rentals, often on weekends. — On July 20, 2016, The IWMA credit card was used to pay a CalRecycle fine or fee for $600 through a private payment service. Staffers at Opay, the payment service, confirmed the $600 payment to CalRecycle was not for an IWMA charge. Reporters have filed a public records request to CalRecycle for the invoice. — On Oct. 24, 2016, the IWMA credit card paid a $50 yearly business registration fee to the Georgia Secretary of State for a land surveying license for Worrell, a charge that appears to have no relation to the SLO County IWMA. — On Oct. 11, 2017, Maurice Tenborg, brother of Charles Tenborg, used the IWMA credit card to purchase a 60-inch by 84-inch steel floor for $678.24 from B & B Steel and Supply in Santa Maria, according to store staffers. Both Worrell and Charles Tenborg testified in court that Tenborg had not worked at the IWMA since either 2014 or 2015. 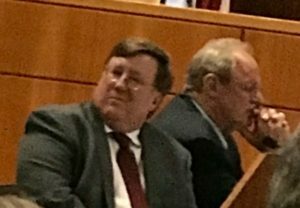 Worrell did not respond to questions about specific credit card charges or why Charles Tenborg’s brother is permitted use of the IWMA credit card. — Monthly, the IWMA card is used to pay an AT&T bill for a landline with a 238 prefix in Paso Robles in the name of Steven and Carolyn Goodrich. Carolyn Goodrich is secretary of the IWMA board, and according to records provided by Worrell, she is the person who signed for the card with the issuer, US Bank. — Also monthly, the IWMA credit card pays $14.99 to Adobe Acropo Sub, which appears to be a computer scam. An Internet search of Adobe Acropo Sub shows multiple complaints from people about the technical support service. The Adobe site does not show “Adobe Acropo Sub” as a product or service. On Nov. 21, 2014, the IWMA purchased an Isuzu Truck for $69,123.66 which it said it then handed over to 21st Century Environment Management, a private contractor for the IWMA, under a five-year lease agreement, according to Knudson’s report. The company has never made lease payments to IWMA, according to the authority’s Carolyn Goodrich. In addition, the IWMA purchased four Chevrolet Silverado trucks in 2015 without board approval. The trucks were handed over to four private trash companies, according to IWMA notations. Again, no lease payments were made by the companies receiving the trucks, Goodrich said. The IWMA was formed in 1994 to allow its member agencies — San Luis Obispo County and the cities of Arroyo Grande, Atascadero, Grover Beach, Morro Bay, Paso Robles, Pismo Beach, San Luis Obispo, and the Community Service Districts — to plan and implement regional solid waste and hazardous waste programs. It is not responsible for awarding trash hauling contracts. The IWMA board meets only occasionally, but will meet in special session Wednesday at 1 p.m. at the San Luis Obispo County Supervisors’ Chambers to discuss an investigation by the SLO County District Attorney’s Office. Short Version Tenborg of ECO Solutions Illegally Dumps PG&E’s Hazardous Waste at Cold Canyon Landfill. Wagstaffe protects Tenborg pro bono. ECO Solutions Tenborg Caught Dumping PG&E Hazardous Waste at Cold Canyon Landfill. Wagstaffe from Kerr Wagstaffe is representing Tenborg for Adamski, Moroski, Worrell, Jones from PG&E, and SLO county supervisor Hill. They need to terminate Worrell before his September retirement date to freeze him out of his pension. This guy is going to walk away with well over 100K a year in pension from the taxpayers and then the “officials” are all going to let it drop because he’s “gone anyway.” It looks like crime DOES pay in SLO county. This whole thing is kind of funny, except what these reporters have been through. This whole issue started when CCN ran a story about a waste hauler (Tenborg) who was mishandling hazardous waste’. Tenborg, Adam Hill and James Wagstaffe ran around claiming CCN lied and Tenborg is an angel. Then they proceeded to spend bucu bucks on Wagstaffe Kerr for four or five years to prove CCN lied. Tenborg wins the trial, tries to steal reporters’ homes and money, is investigated, proven to have lied all the way through. Now Bill Worrell, Adam Hill’s and Tenborg’s cronie, is also investigated and has apparently embezzled approximately a half million, and is now going down. Of course Adam Hill is a member of the board allowing Worrell to steal money. No one would have remembered the original story about Tenborg if they would just have kept their mouths shut. You can’t make this stuff up. Enjoy the ride boys, you created it. Adam Hill and his trolls spent five years trying to trash the reputations of CCN reporters even attacking their children, all to destroy reporters who have questioned the apparent pay to play in SLO County. They may have one a battle, but I hope they lose the war. When you understand that most training, including regulatory required training, can be performed online and most County, State and Federal meetings too can be via a webinar, then you will see that government virtually has a travel club at the expense of the taxpayers. I know this because the highly regulated and unregulated private sector companies extensively use their computers not the costly travel industry. They know this but heck a fire if you bring it up. By comparison the IWMA challenge is peanuts and only turns heads in that direction. Thank you CCNews. It was obvious there was ‘waste’ involved when they balked at someone actually looking at their finances. This sounds significantly more consequential than the Wallace fiasco. It also apoears to be just the tip of the iceberg. Considering the portion they allowed the public to inspect shows grand theft, embezzlement and fraud, what can we expect from the hidden portion? Ted, it would appear to be the case that the IWMA case is even dirtier than the Sanitation District case, BUT the DA only investigated a few of the more recent conflicts of interest because they were the easy pickings. The DA’s office admitted there was far more there that wasn’t investigated or charged. Had it gone to trial this would all have come out, including the involvement of Bill Nicolls, John Shoals, Tony Ferrara, Caren Ray, Judge Matt Guerrero, Mary Lucey, and now the majority of the Grover Beach City Council and Mayor who are running interference for them and Wallace. Remember, the Knudsen investigation of the Sanitation District was tightly controlled by Shoals to include a very limited scope. Had it been funded privately, as the IWMA was, the revelations would have blown your socks off. Perhaps this latest corruption at the behest of the same group of players and their minions will start to attract enough state and national interest to send some of them down. It will be amusing to watch the cronies polishing up their halos and disavowing one another if it does.